Join Heidi Barnes, Senior Application Engineer for High Speed Digital applications at Keysight Technologies, during her DesignCon presentations next week! We interviewed Barnes last year at DesignCon and PCB West. If you are looking for immediate knowledge on signal integrity and high speed, look no further! We interviewed Barnes last year at DesignCon and PCB West. 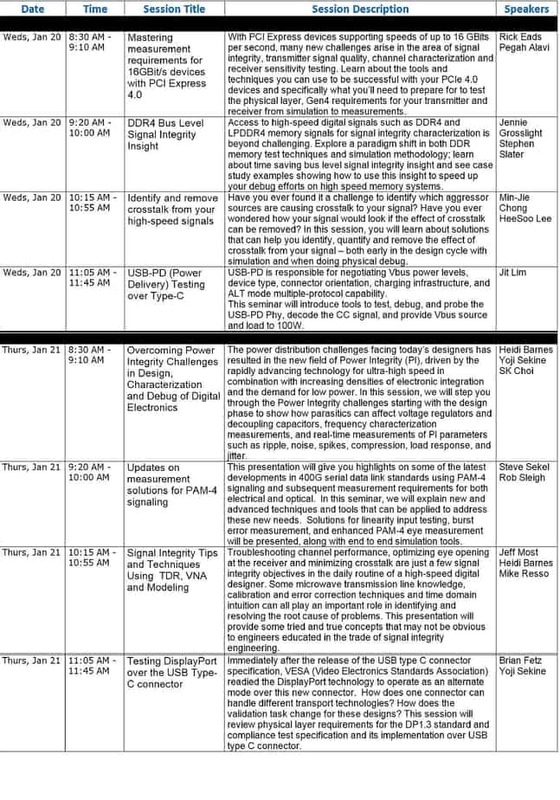 In this session, we will step you through the Power Integrity challenges starting with the design phase where circuit simulations with high capacity EM simulators are used to show how distributed R, L, and C parasitics can affect the voltage regulator and decoupling capacitors. Heidi Barnes — Senior Application Engineer, Keysight Technologies, Inc.
Yoji Sekine — Marketing Engineer, Keysight Technologies, Inc.
SK Choi — Product Manager, Keysight Technologies, Inc.
Keysight Technologies is the host sponsor of DesignCon. A complete list of their sessions can be found below. Make sure you visit them at Booth 725. Have you registered for DesignCon yet? Sign up for your free expo pass today!